HomeIs Algebra Necessary? Of Course It Is! Last week an op-ed piece--"Is Algebra Necessary" by a Poltical Sciences Professor Andre Hacker--was published in the New York Times (link here). The thesis of this note was that schools should stop teaching algebra as a matter of course, that algebra is really not necessary for most careers anyway, and that poor performance in algebra is having a terrible impact on high school and college graduation rates. This article went somewhat viral: securing over 450 online comments at the NY Times site, and was noted in newspapers, online media, and radio/TV stations around the nation. I must have gotten a few dozen emails about it and talked to quite a few of the local media about it. I have two major points to share. First, the idea of dropping algebra is one of the most foolish ideas I have heard in a long time. Second, the fact that the media took this wacky proposal seriously says something about where we are as a nation...and I will let you judge whether that is good or bad. 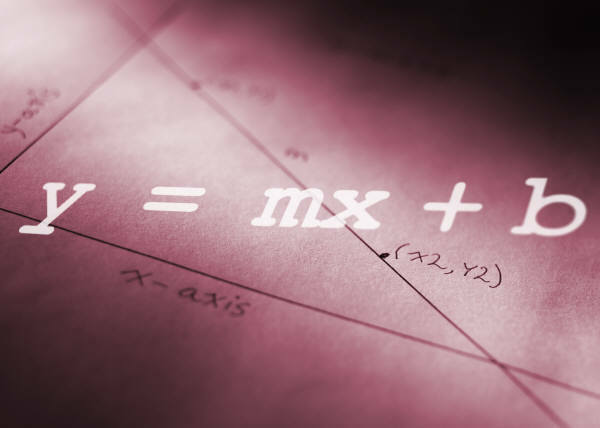 Algebra is fundamental for virtually all technical subjects and careers: engineering, science, medicine, and technology. It is required for finance and business. The list is a long one. Now even if we made the huge assumption that the only use of algebra is for technical and math-oriented careers, there is an obvious reason why we need to teach this subject to virtually all our children: we don't know in junior high or even high school which kids are going into such careers! If we deny a child access to this subject we are determining that they NEVER will be able to go into a technical or financial subject. Parents--would you accept this? Would a student like their future circumscribed in such a way? Of course not. We live in an increasingly technological society and many of the careers of the future require math competence. It is inconceivable that we would deny our children the ability to participate in this new world. Our international competitors (e.g., Chinese, Japanese, Germans, to name only a few) are pushing their kids to achieve in math--they laugh at the intellectual disarmament that hacker suggests. Today, foreign nationals are taking over the technical and mathematical subjects...even in our own universities. Folks, this is bad, real bad. Because our nation will not be able to swipe the cream of the worldwide talent pool forever. 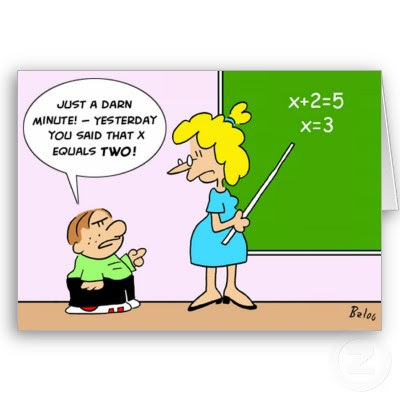 Learning math and algebra is a central part of the education of every student. Not only do they learn how mathematics can describe the world around them and can do so many useful things, but they learn to organize ideas in a logical, ordered way--extraordinary training for anyone, of any career direction. Hacker makes a big point that a lot of students are not gaining mastery of algebra and for many it is a frustrating experience. But that is more of a measure of the failures of the U.S. math education enterprise, not the inadvisability of teaching algebra. The U.S. math education establishment decided, with no empirical evidence, to switch math education to a "discovery" approach roughly 15-20 years ago. It has been a complete failure, with many schools now switching back to the direct instruction approach used by the nations best in teaching math. Seattle is a prime example of the failure mode, with poor math curricula at all levels. We need teachers who have deep knowledge of the math topics they teach, which is often not true in elementary and sometimes middle school. In short, we need to fix the basics. But the basics seems to be ignored by many districts and education boosters (like the Seattle Times, Wa League of Education Voters, Gates Foundation) who push quick-fix panaceas (charter schools, Teach for America, restricting teacher flexibility, etc.) that don't deal with the real problems. Other major culprits are the education schools, who push trendy, theoretical approaches rather than making sure new teachers know their subjects and effective approaches to teaching. If students aren't learning algebra well, you can drop the subject--as Hacker suggests-- or learn how to teach it better...which would you prefer?